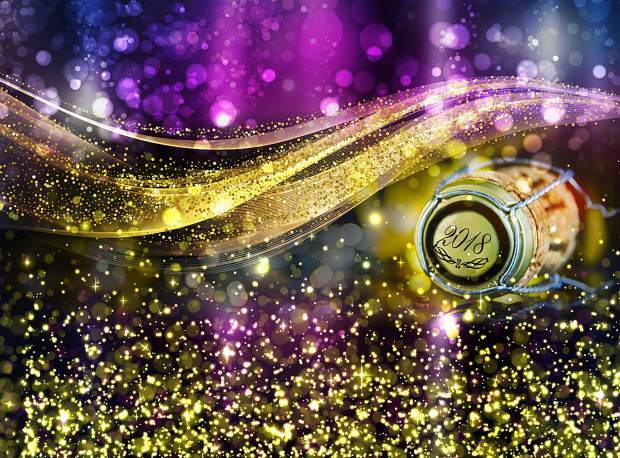 Celebrate the New Year with parties around North Lake Tahoe including "All That Glitters Kaleidoscope Party" at The Resort at Squaw Creek. This weekend is finally time to swap out Santa hats for some dancing shoes to ring in the New Year. If you’re looking to indulge in a delicious, multi-course celebratory meal there are several hotspots around North Lake Tahoe that are sure to please your palate. “New Years Eve revelers of all ages are invited to ring in 2018 at West Shore Café with live music, party favors, champagne toasts, a pre-fixe menu and more. We can’t think of a better way to celebrate the New Year than on Lake Tahoe with family, friends and a great meal,” said Lisa Nigon, marketing director at Homewood Mountain Resort and West Shore Café. 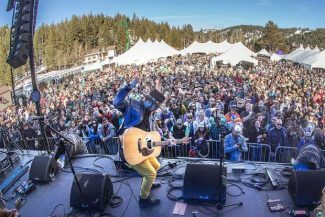 For people looking to dance the night away to a dynamic musical lineup and enjoy three nights of revelry, the annual SnowGlobe Music Festival will once again be at South Lake Tahoe this weekend. Below are the Sierra Sun’s top five locations around Lake Tahoe to welcome in 2018 with family, friends and late night parties. Tahoe Donner | 5:15-7:30 p.m.: Join a Guided Snowshoe Tour on New Year’s Eve and enjoy the beautiful sunset as you make your way down cross country trails. The Ritz-Carlton, Lake Tahoe | 9 p.m. – 1 a.m.: Ring in the New Year with a champagne bar, live music, dancing and a plate of celebratory dessert treats. Tickets: À la carte pricing. The Resort at Squaw Creek | 7 p.m. – 1 a.m.: The “All that Glitters Kaleidoscope Party” brings glitz and glam to the New Year. Dance to live music, see aerial performers, sip champagne, and even add a pre-party dinner to your schedule. Tickets: Dinner and Party: $135 plus tax & gratuity. Party Only: $65 plus tax & fees. 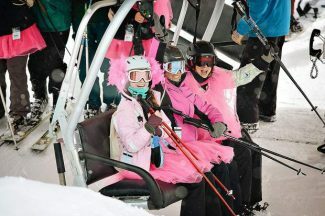 Squaw Valley Alpine Meadows | 8 p.m. – 2 a.m.: Party the night away during the 14th annual Squaw Prom from the Olympic Village Lodge. This year’s theme is The Great Gatsby. Northstar California | 9 p.m.: The annual Fire & Ice Celebration brings a live performance from The Who Show cover band, an ice bar, and village fire pits to ring in the New Year before a fireworks display at 9 p.m.
Northstar California Resort | 10 p.m. – 1 a.m.: New Year’s Eve Club 6330’ invites guests age 21 and over to party, drink, dance, and kick off the New Year. Crystal Bay Club | 9 p.m.: New Year’s Eve with Leftover Salmon and special guests The Mother Hips. 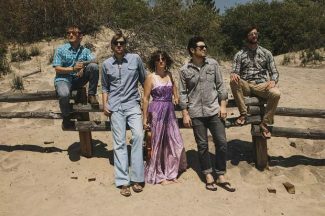 The after-party features Dusty Green Bones Band in the Crown Room. Tahoe Biltmore | 9 p.m. – 3 a.m.: Fresh Bakin’ brings the annual Bounce Heavy NYE bash featuring Stylust Beats and Left/Right headlining. West Shore Café | 5:30 p.m. – 12:30 a.m.: Enjoy a beautiful New Year’s Eve dinner during two seating sessions, 5:30-7:30 p.m. for a family friendly, three-course meal; and 8:30 p.m. – 12:30 a.m. for guests ages 21 and over to enjoy a four-course meal. Advance reservations required. Tickets: Family Seating Adults: $125, Children 12 and under: $25; Adult Seating: $150 Per Person. Jake’s On The Lake | 5 p.m. – 1 a.m.: Two seating times each feature three-courses. Sunnyside | 5 p.m. – 11:59 p.m.: Family friendly and adults-only seating options feature three-courses, live music, and party hats. Granlibakken Tahoe | 7 p.m. – midnight. : New Year’s Eve buffet dinner, dessert, dancing, and champagne toast. SnowGlobe Music Festival | Friday, Dec. 29 – Sunday, Dec. 31: The annual outdoor music festival, SnowGlobe, brings big-name music headliners to a chilly venue to ring in the New Year. Tickets: Single and multi-day tickets available. Heavenly Holidays | Through Sunday, Dec. 31: Heavenly Mountain Resort brings activation to the village in celebration of New Year’s Eve. 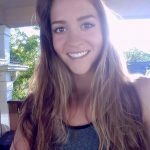 Ski Resort Fireworks: Mount Rose Ski Tahoe, Northstar California Resort, and Squaw Valley Alpine Meadows will have fireworks displays on New Year’s Eve. Free Shuttle: Leave the car at home and celebrate responsibly with Truckee’s free shuttle from historic downtown to neighborhoods including Northstar and Tahoe Donner. Visit http://www.laketahoetransit.com for more.